UMass president Marty Meehan delivered his “State of the University” speech at the UMass Club in Boston on March 5. To balance the books at UMass Boston, they are cutting janitors and day care, and gutting programs for women, veterans, and minorities. Yet somehow, UMass system president Martin T. Meehan found enough money to acquire a struggling private college — so that UMass Amherst can have a peaceful, sprawling Boston-area campus. UMass Dartmouth, a distant and unfamiliar learning environment. And something even worse is happening at UMass Boston. Its students — who make up the most diverse campus in New England — are getting another painful lesson about where they stand in the university pecking order. As low as it goes. It’s an education, all right — an education in the institutional bias that tilts toward the elite flagship Amherst campus, which, let’s face it, is also whiter. Some might also call that an education in institutional racism. The 72-acre Mount Ida campus will give UMass Amherst students a pastoral base of operations for internships and academic collaborations in Boston. Meanwhile, UMass Boston students have endured months of administrative turmoil and cold-hearted cost-cutting on a campus infamous for its crumbling infrastructure. Governor Charlie Baker committed $78 million toward demolishing an underground garage so unsafe it had to be shut down, but parking fees for students and staff are still going up to pay for the new one. Expecting students to fill the gaps in an ever-expanding budget ignores how universities like UMass waste millions. Budget decisions at UMass Boston are being overseen by interim chancellor Barry Mills, who is running the university and managing an estimated $10 million deficit while the campus conducts another one of those allegedly nationwide searches for a permanent leader. At one point, the UMass Boston budget gap was supposedly $30 million, a burden now officially attributed to years of money mismanagement under former chancellor J. Keith Motley. Somehow, the UMass board, along with previous presidents, escaped any responsibility for not knowing about it — even though they ultimately sign off on the five UMass campus budgets. And now Meehan, with customary rubber-stamped approval from the UMass board, is taking on debt at Mount Ida that is estimated to run from $55 million to $70 million. Attorney General Maura Healey is looking into the Mount Ida closing on behalf of angry students and parents. But who’s going to speak up for UMass Boston and the clash of values on display under the current cost-cutting agenda? 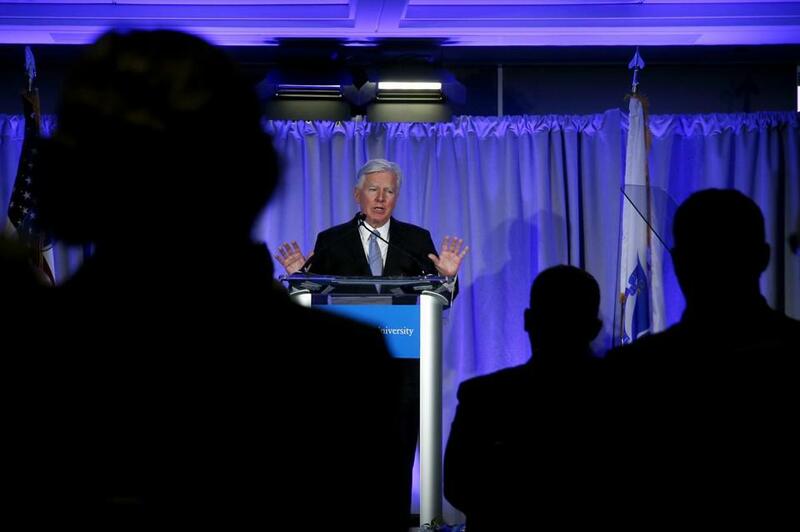 Mills is closing the deficit by slicing away at programs that make up the heart and soul of UMass Boston. The cuts are not coming from the top. They are coming from the most vulnerable — children, women, veterans, and minorities. According to a memo sent out recently by Mills, university administrators surveyed the 30 centers and institutes at the university and determined that 17 were not self-sufficient. The memo states that the university will cut the funding for the centers and institutes that require the biggest subsidies. They include the William Monroe Trotter Institute for the Study of Black Culture, the Center for Women in Politics and Public Policy, the Institute for New England Native American Studies, the Labor Resource Center, and the Center for Social Policy. The cuts will reportedly save up to $1.5 million out of a $430 million operating budget. Meanwhile, there’s enough money in the overall system to take on debt-ridden Mount Ida and send its students to UMass Dartmouth at a reduced rate. 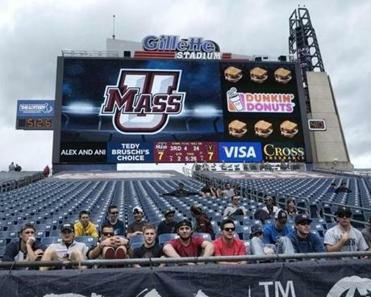 The message to UMass Boston couldn’t be louder: Your needs are expendable. But let’s go get a Boston campus for Amherst. Why does no one care about UMass Boston?